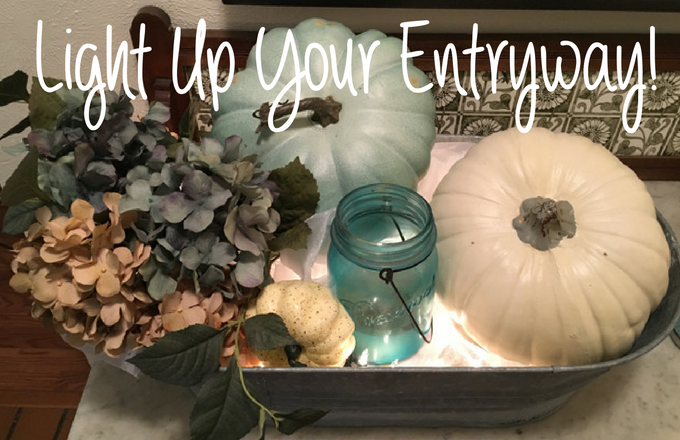 Need help thinking of a quick way to add sparkle to your entryway to welcome your Christmas guests? 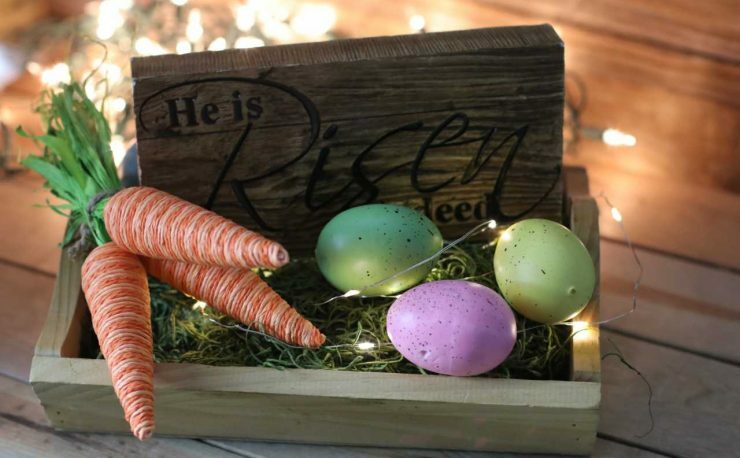 Try this easy project to highlight a focal point of your home’s architecture – your bannister or stair hand-railing. Meg took on this challenge and has done a fantastic job of showing us another great way to use basic white lights to their best advantage. 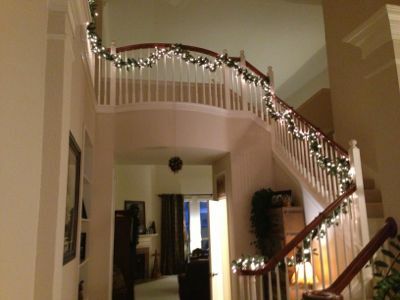 Using basic Christmas garland she wrapped white mini lights into them then installed them on her banister. The project took just part of an afternoon. Meg attached the garland, wrapped with the lights to the railing with garland ties that she picked up a local craft store. Shot of lights and garland along the railing. 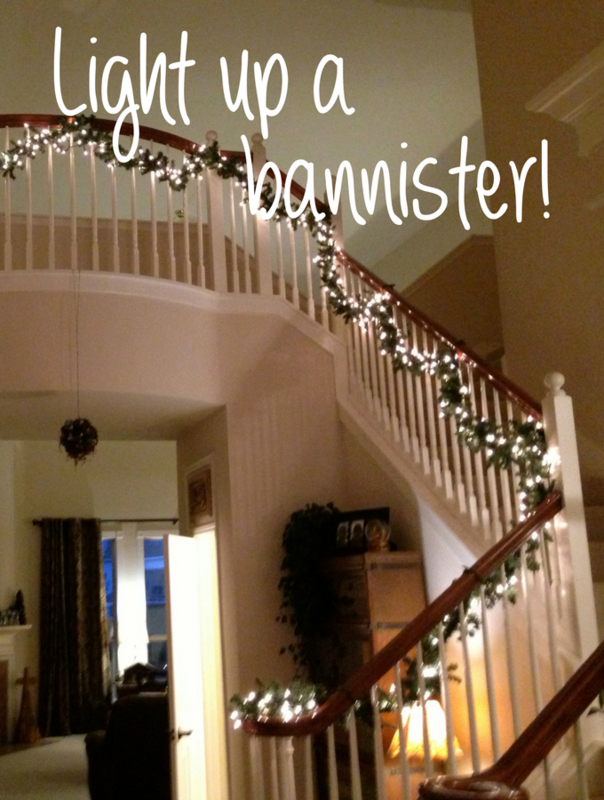 You can tailor your mini lights to the size and length of your banister and your available garland. If you want to try a color other than white choose other colors to accent your greenery. Pick up the colors in your home accents or mirror the lights you’ve used on your tree. 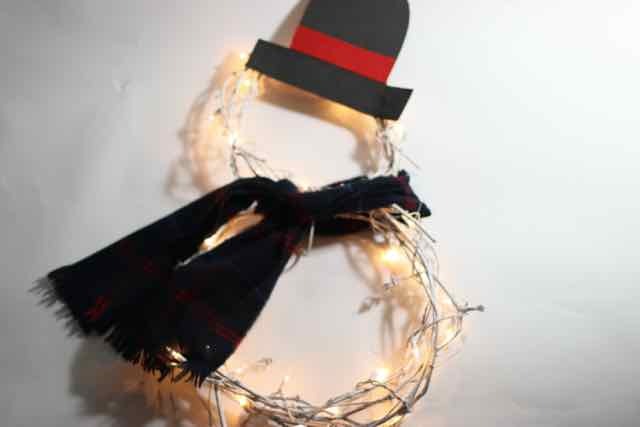 Choose the distance between the bulbs based on the size of your garland – fatter the garland, wider the spacing. And kind of mini light strand will work as long as it has end to end connections. 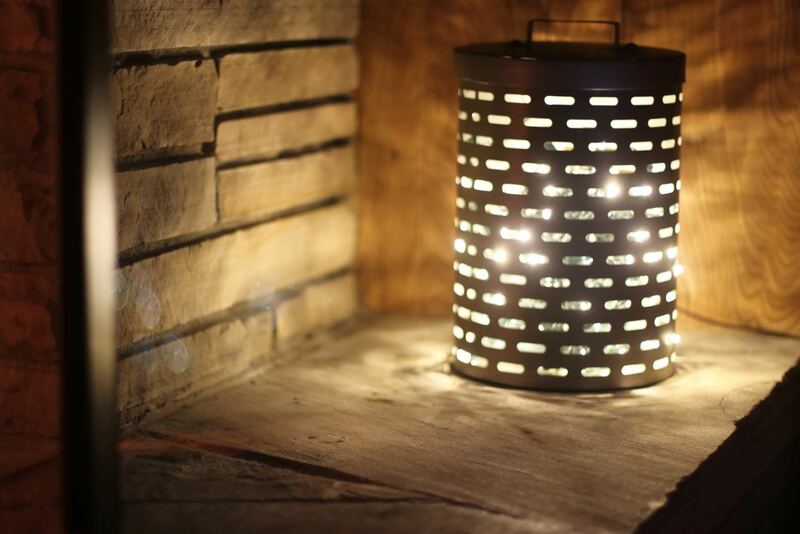 Be sure to check the tags/manufacturer’s specifications to make sure that you don’t run too many lights in series. 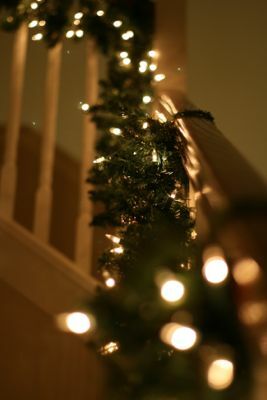 If you are hitting that upper limit, to prevent the need to run an extension cord along your stairs, start a run of lights from the bottom of the stairs and another run from the top and meet them in the middle. 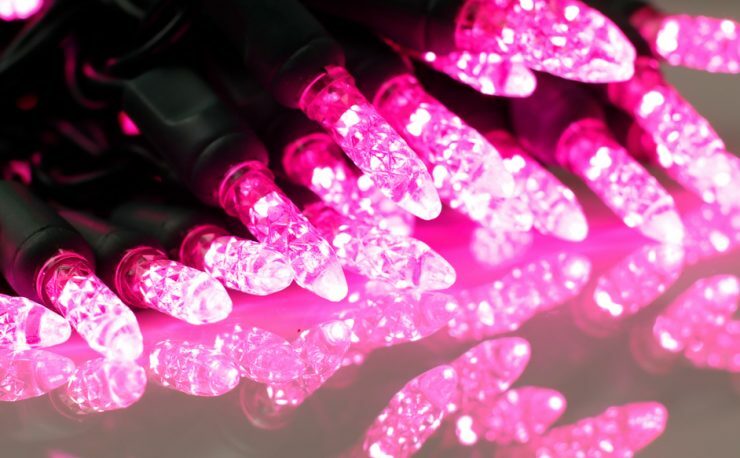 For larger projects, commercial Christmas tree light strings that can be run over 400 feet in series. 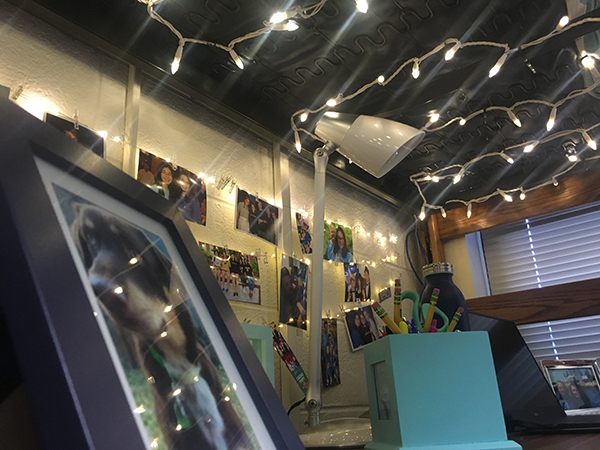 We’d love to see photos of your project! !